As I move along through the publishing process to the release of my next novel, The Light: Tales From a Revolution – New Jersey, I wanted to give you a sneak peek at the cover design, which I think reflects the feeling of the book very nicely. The Light deals with the question faced by Quakers during the Revolutionary era: Can they violate the pacifist underpinnings of their faith and support the rebellion, or must they risk their freedom of religion by watching as the British re-establish control over the Colonies? The answers that the characters in The Light arrive at represent the very real anguish that this question caused people during that time. As they wrestled with questions of belief, pragmatism, courage and loyalty, the men and women you’ll meet in The Light will make you think about the balances you strike in your own life. I look forward to sharing more from this powerful novel with you in the days to come! This entry was posted in cover design, The Light on November 24, 2011 by Lars D. H. Hedbor. I know that’s a misquote, but it fits better misquoted, okay? With the encouragement and prodding of my editor at Puddletown, I’ve cleaned up the second manuscript in my series, and submitted it late last night. I think it’s pretty good; now we just have to wait and see what their market reader thinks. Meanwhile, I’m busily sketching out the rest of the series, and thinking about what I need to do to make the third completed manuscript presentable. If this is what the life of a novelist is like, I’ll take it. Oh, yes, I will take it. This entry was posted in Puddletown, The Light, writing on May 17, 2011 by Lars D. H. Hedbor. Finished The Light this evening. Deeply flawed story, but it’s got some essential strengths in it. It all came together in the last 24 hours of writing, though, and threads that I really didn’t have the first clue where they were going to wind up going wound up nicely woven into the resolution of the story. I thought, after the leaping great fun I recalled The Prize being to write last year, that this novel would be a walk in the park… but I guess each one is its own unique experience, and, if I didn’t get mugged this time through, I at least had to go through a pretty rough section of the trail to get here. However it happened, though, I am a novelist, for the third time. Time for a Scotch, and then I’m going to go get some sleep. 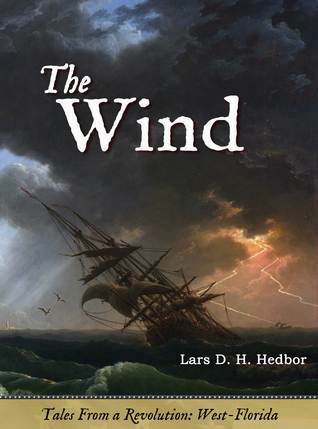 This entry was posted in The Light on November 30, 2010 by Lars D. H. Hedbor.